Ho Chi Minh Mausoleum is one of the most historical attractions in Hanoi, knowing for the final resting place and holding the embalmed remains of President Ho Chi Minh, the most iconic and national hero of Vietnam. Ho Chi Minh President, also known as Uncle Ho (1890 - 1969), was a revolutionary and a founder of Communist Party of Vietnam. He was also one of Vietnamese leaders in the struggle for independence and freedom of the country. On September 02, 1945, he read the Vietnamese Declarations of Independence in front of thousands people in Ba Dinh Square announcing the birth of the Democratic Republic of Vietnam. Being widely admired and revered by not only Vietnamese people, but also people around the world, Uncle Ho left profound grieves when he passed. 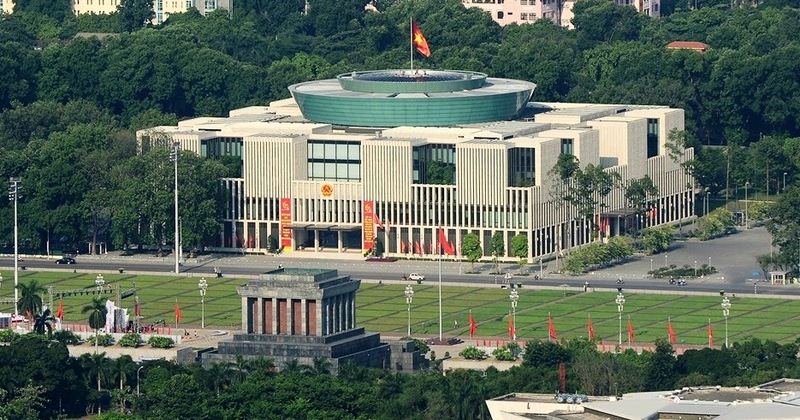 Many monuments and historical relics were built to commemorate the merits of this President such as Ho Chi Minh Mausoleum, Ho Chi Minh Museum, Ba Dinh Square, Presidential Palace Hanoi, Ho Chi Minh's Stilt House. These five monuments are located in a unified cluster of historic relics in Ba Dinh district, Hanoi capital. 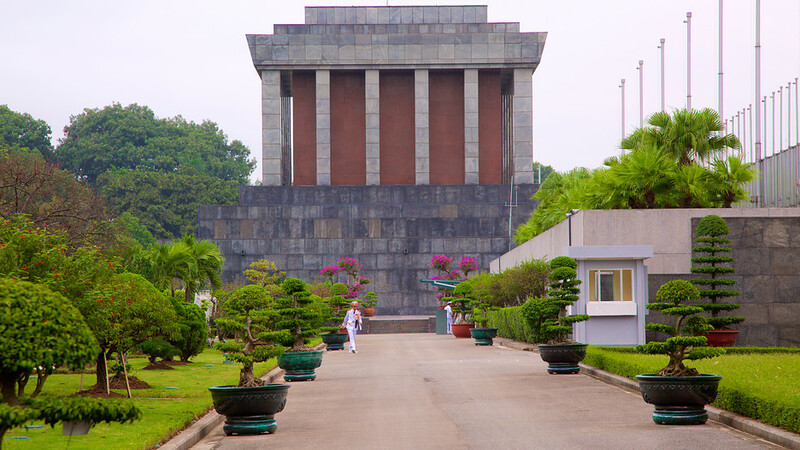 Ho Chi Minh Mausoleum is situated in Hung Vuong Street, Ba Dinh district. The Mausoleum was officially started building on September 2, 1973 and inaugurated on August 29, 1975. The architecture of the Mausoleum is the combination between Lenin Mausoleum's architecture and distinct architectural elements of Vietnam. The building materials for construction were brought from different places in Vietnam including sands taken from Kim Boi stream (Hoa Binh province), boulders from streams in Son Duong, Chiem Hoa, Ngoi Thia, Tuyen Quang, stones from Thanh Hoa, Yen Bai, etc. Ho Chi Minh Mausoleum opens in all mornings except from Monday and Friday, from 8.am to 11.am in cold season and from 7.30 am to 10.30 am in hot season. Sometimes (often in October and November), the Mausoleum will be closed for restoration and preservation. Currently, the Mausoleum does not require entrance fee, however, visitors must comply some requirements. Specifically, visitors have to keep silent and walk in two lines. Smoking, drinking, eating, taking photographs, and taping video are not permitted anywhere inside the Mausoleum. Legs must be covered (no shorts or miniskirts). Ho Chi Minh Mausoleum is a meaningful cultural work of Vietnam. For each Vietnamese citizen, visiting the Mausoleum is an emotional need to express the gratitude to the great leader of the country. As estimated, until 2007, there were over 33 million turns visiting the Mausoleum including both domestic and foreign visitors. According to Vietnam National Administration of Tourism, Ho Chi Minh Mausoleum is one of Hanoi attractions cannot ignore of nearly 100% international tourists when setting foot in Hanoi. Besides, Ho Chi Minh Mausoleum, Ho Chi Minh Museum is also a place where tourists can visit, listen touching stories, and have an overview about Ho Chi Minh's life and Vietnam Revolution.